A teacher in Newtown, Conn. was arrested for bringing a gun to school on April 6. 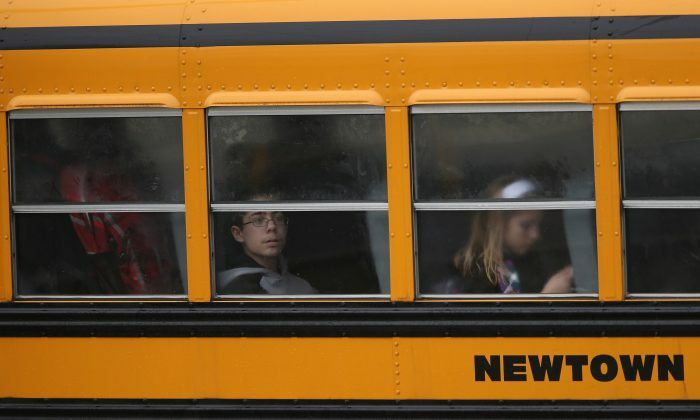 Authorities responded to a 9 a.m. call from a Newtown Middle School official, they said in a press release. The school is just two miles from Sandy Hook Elementary, where gunman Adam Lanza killed 20 children and six adults in 2012. Police identified the teacher as 47-year-old Jason Adams. Officials say the teacher has been put on administrative leave pending an administrative investigation. “This matter is very serious and troubling, both the Newtown Public School system and the Newtown Police Department took immediate steps to address the matter. The teacher was immediately detained by security personnel,” said school officials in a statement. “Both agencies have been working closely together to investigate the incident and are taking precautions to ensure the continued safety of our students, staff and community members,” they added. Adams, who possesses a valid State of Connecticut Pistol Permit, was released and will be due in court on April 20. He is charged with possession of a weapon on school grounds. According to News Times, Adams is an eighth-grade science teacher. Newtown has been scarred by the shooting rampage that happened years ago. Sandy Hook Promise, a nonprofit founded and led by several family members whose loved ones were killed at the Sandy Hook Elementary School shooting, released a statement following Adams’ arrest. “We are dismayed that this could happen in a school, especially one in a community as traumatized as Newtown,” said Sandy Hook Promise. “We commend the Newtown Police Department and Newtown Public Schools for their thoughtful handling of the arrest of science teacher Jason Adams for violating the law by bringing a weapon onto school grounds,” they added.